Santa Eulalia, Ibiza. Stylish hotel with private adults’ roof terrace, exclusive VIP services and direct access to glamorous beach club, Nikki Beach Ibiza. ME Ibiza Hotel - Stylish and sophisticated luxury hotel next to S'Argamassa beach and a small and pretty bay. The ME Ibiza hotel boasts three swimming pools, including a large pool and a children's pool with entertainments at ground level. On the adults-only roof terrace, there's an inviting infinity pool surrounded by Balinese beds plus a bar, which serves superb cocktails and delicious Mediterranean food - all with 360 degree views. Additional extras include a wellness area offering on-site beauty and health treatments, personalised VIP services and a programme of cool cultural and musical events showcasing local talent. Guests can choose from a variety of suites, all kitted out with a divine minimalist and Ibiza-inspired decor, with items like direct pool access, sea views and additional exclusive extras. The ME Ibiza is located right on the small beach of S'Argamassa, close to glamorous beach club Nikki Beach, to which all hotel guests have direct access. The Punta Arabí Hippy Market is less than 2km away with the town of Santa Eulalia a short trip in car or taxi, where there is a great selection of restaurants and a ferry taking you to Formentera. Ibiza Town's excellent nightlife and cosmopolitan port area with myriad bars and restaurants is a short 20 minute drive. 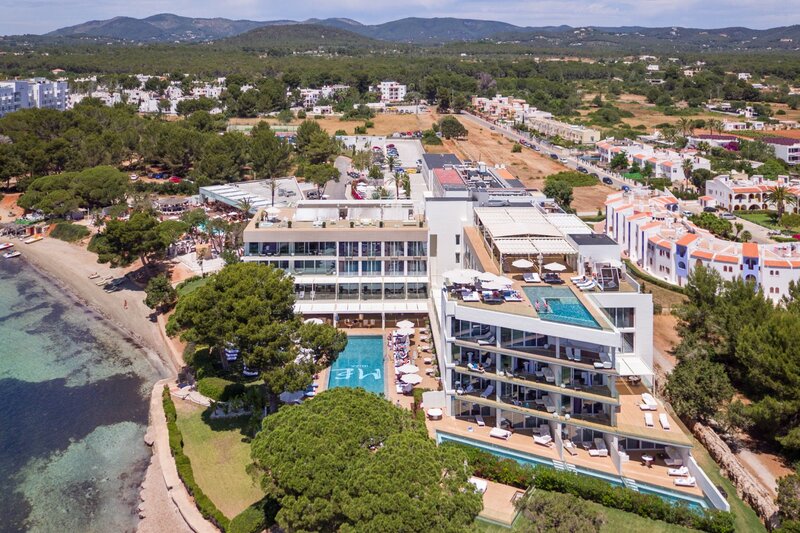 Other great Melia Hotels on Ibiza include the chilled and relaxed Sol Beach House in Santa Eulalia or sophisticated clubbers' choice Sol House Ibiza in San Antonio Bay, with pool parties and rooftop sunset sessions featuring DJs or live bands.